With its slogan, 'Vorsprung durch Technik', meaning 'progress through technology', Audi is renowned for its creative technical designs. Since being popularised in Britain introducing brilliant designs like the Audi S3, Audi has thrived, to become a dominant premium automotive brand. At Dace Motor Company Ltd, we price check every used Audi S3 car we stock daily, so we know that they are the cheapest in Stockport! We are so confident in our prices, that if you find a like-for-like make and model cheaper, we would be happy to beat their price! 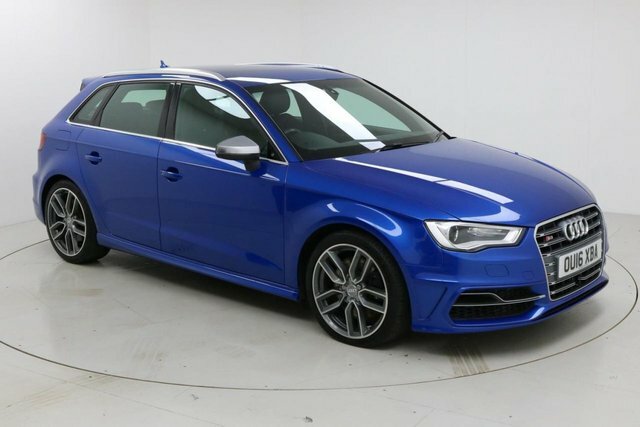 Stockport is only 20 minutes from our fantastic range of pre-owned Audi S3 cars. Simply make your way towards Reddish. Dace Motor Company Ltdis on Greg Street, a right turning on the B6167. Finance is available to UK residents aged 18 years or older, subject to status. Terms & Conditions apply. Indemnities may be required. Other finance offers may be available but cannot be used in conjunction with this offer. We work with a number of carefully selected credit providers who may be able to offer you finance for your purchase, commission may be received. We are only able to offer finance products from these providers. Postal Address: Dace Motor Company Ltd, Greg Street, Reddish, Stockport, Cheshire SK5 7BS. Find contact details here.